Thank you for choosing Donald I. Cadle, Jr., DMD as you’re your dental home. 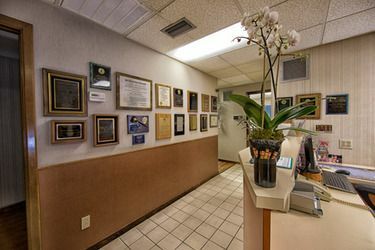 You can feel confident knowing you have selected a highly qualified cosmetic dentist in West Pasco. New patients can learn everything they need about their first visit by reading this page. You’ll find directions to our office, details about what to expect at your first visit, and our practice mission. We encourage you to print and complete the registration forms conveniently provided below in advance of your first visit to save time. Next to Christina's Restaurant, and there is a bus stop next to Christina's Restaurant.